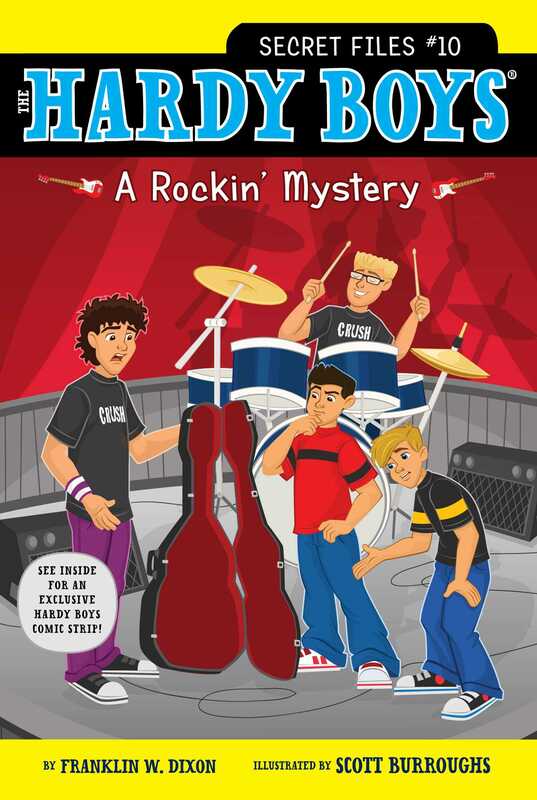 In this Hardy Boys Secret Files mystery, a missing bass guitar causes a few wrong notes at the Battle of the Bands. Frank and Joe are thrilled to learn that the popular band, Crush, is scheduled to perform in Bayport’s huge Battle of the Bands—and even more excited when they find out that their friend’s brother, Dylan, is the bass guitarist. But on the day of the performance, Dylan’s prized guitar has gone missing! Could someone from a rival band have taken it in hopes of gaining an advantage? Or could the culprit be someone closer to home? It’s up to Frank and Joe to investigate this rocking mystery—or else Crush might be crushed in the competition!